All Time Low frontman Alex Gaskarth has confirmed that work has begun on the follow-up to their 2017 album 'Last Young Renegade'. Speaking on The Music Podcast, about his new project Simple Creatures with Mark Hoppus, Alex shared that a new All Time Low album would be out "definitely by 2020". "We had a long record cycle with Last Young Renegade and we kind of felt like we circled the world twice on that music and it just felt like, maybe, the right time to take a little break from being on the road with All Time Low," Alex shared. "We just felt like maybe we'd pummelled people over the head with it too much! 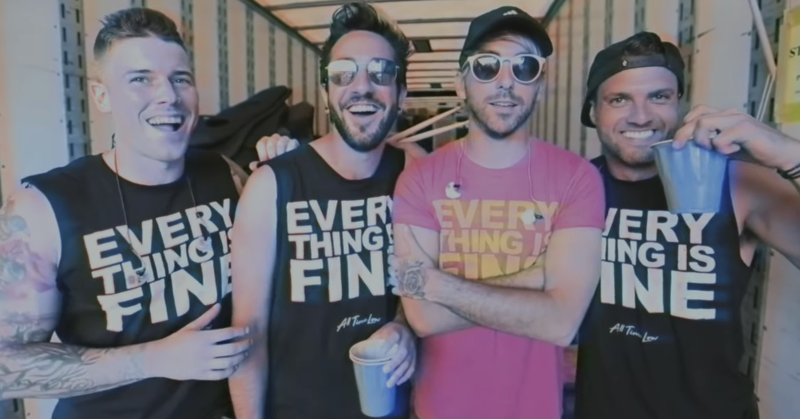 It was the right moment to take a step back and re-evaluate what the next iteration of All Time Low would be and so we've started digging into demos and new music is taking shape. "I just spent a few weeks in Nashville at Rian's [Dawson, drummer] studio, starting to form ideas. It's nice, we have an amazing head start on the whole thing and there's already pictures forming which is a nice way to approach it." But nothing is too locked in yet, release-wise, with Alex sharing "we're playing it loose". "I don't think we're gonna do anything until we feel like it's ready and there's a record there. We don't want to force it obviously, but at the same time I think we're always amped and ready to go." All Time Low's only scheduled performances for 2019 are for Slam Dunk, where they'll be honouring the 10th anniversary of 'Nothing Personal'. Slam Dunk 2019 will take place on May 25 in Leeds and May 26 in Hatfield, with tickets available here.